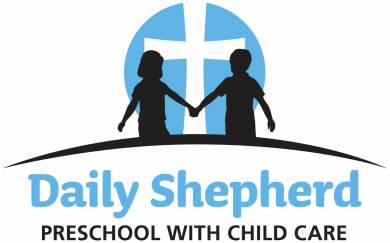 To enrich the lives of children in a safe, secure and loving Christian environment. To provide quality care for children during the time their parents are unable to do so. To enhance the positive self concept and develop the individual strengths of each child. To develop social and cognitive skills. To work in cooperation with the parents for the child's development. To guide children in their spiritual growth. To develop a sense of excitement for learning and a positive attitude toward school. To develop learning skills such as listening, following directions, problem solving, and good work habits. To develop self confidence for trying new experiences and for meeting new people. To develop fine and gross motor skills.